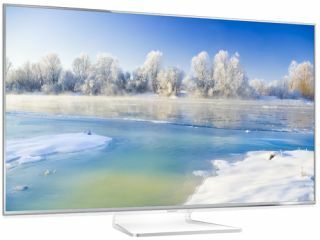 Panasonic 2013 TVs: sizes, prices, specs, pictures, release dates | What Hi-Fi? Here's a complete rundown of all the new Panasonic TV series announced at CES 2013. There's 32 new models - 16 Plasma TVs and 16 LED TVs, with some models being US only. We haven't got complete UK prices yet, but will update as soon as we do. There’s 16 new models for the Plasma TV line up, including a new flagship ZT60 ZT65 series and including enhanced features to the Smart side of things. This line up will be available starting in February 2013. Also new, and supplied with the ST60 and above, is the Panasonic Touch Pen, which allows you to draw directly on to your plasma TV. UPDATE: Panasoniz ZT60 to be known as ZT65 in the UK. There’s 16 new models for the LED/LCD TV line up, leading with the WT60 series and including enhanced features to the Smart side of things. This range will be available in the spring of 2013. Silver as main design, with some white and black models available. All Panasonic 3D LCD TVs use passive 3D technology.